And don't forget to check out all the other volumes in the "Megapack" series! 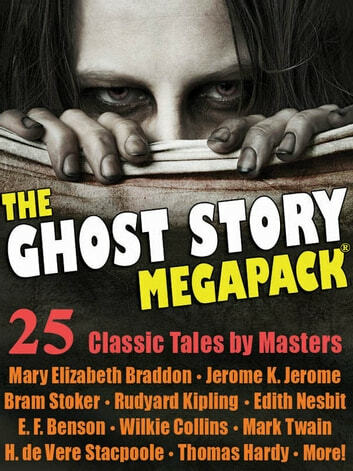 Search on "Wildside Megapack" in your favorite ebook store to see the complete list...covering adventure stories, military, fantasy, ghost stories, westerns, mysteries, and much more! One Life, One Love Vol. II. This was an entertaining read. These old ghost stories have lost none of their charm. They may not have been terrifying but they were enthralling. I couldn't put it done, not for long. This was the first Wild Side megapack I read and it lead me to 30 more (and counting) encompassing a wide range of genres from sci-fi to steampunk to mystery to name only a few. I thoroughly recommend not only this volume but the entire Wild Side series, there's a megapack for everyone. Besides they're great value. Thank God for ebooks, they ushered in the return of the short story. Keep up the great work Wild Side Press.